Team Doncaster is an ethos of collaboration, progress, and positivity. It is highly likely that by reading this you are already part of Team Doncaster. You may be a member and not know it. Membership of Team Doncaster is not a private and elitist group, but it is certainly something to be proud of. 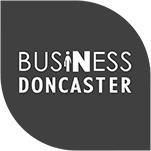 If you are making a positive difference to the people and place of Doncaster through the work that you do, through volunteering, through being a neighbour, a parent, or a friend then you are part of Team Doncaster. Team Doncaster is formally recognised as the strategic partnership of organisations and individuals that spans the public, private, voluntary and community sectors.